Epoxy floor coating is an effective way to extend the life of your concrete floors, withstanding frequent wear and tear in industrial and commercial environments. Sealing concrete floors with a polyurethane or epoxy coating prevents dusting, and provides a smooth surface to discourage the build-up of dirt and grime. Epoxy coated floors display the sturdiness of concrete flooring, while this moisture resistant coating makes them far easier to clean than porous, unsealed concrete. 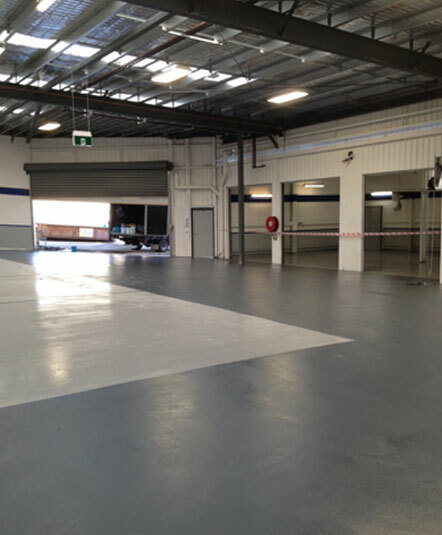 The expert team at Baker Technical Epoxy Flooring Services can recommend and install the epoxy flooring Mornington businesses need. Whether it is for a factory, warehouse, commercial kitchen or cool room, we have the flooring solution for you. With floor-to-wall coving providing a smooth, unbroken surface, epoxy floor coating remains a popular choice for medical clinics, aged care facilities, and hospitals where a forgiving and hygienic surface is required. Anti-slip texturing can be introduced for high risk areas, and the range of colours available allow for clear safety markings and visual distinction. The range of tints and finishes, including vinyl chip coating, mean this is a surface that is not only practical, but beautiful too. Replacing old or damaged concrete floors can be an expensive and time-consuming process. Resurfacing and repairing floors is often the better option, and with a quality epoxy or polyurethane concrete coating, home garages and factory floors can provide many more years of service. Sealing your concrete with a garage floor epoxy coating is a simple and effective way to update and add value to your home. The moisture resistant surface will repel oil and chemical spills, and the easy-to-clean surface is ideal if your home garage is a multi-purpose workspace. The versatility of epoxy coating allows for its use in commercial parking lots and garages as well, where epoxy line markings will stay vibrant for longer than paint, remaining bold and clear even in these high traffic environments. 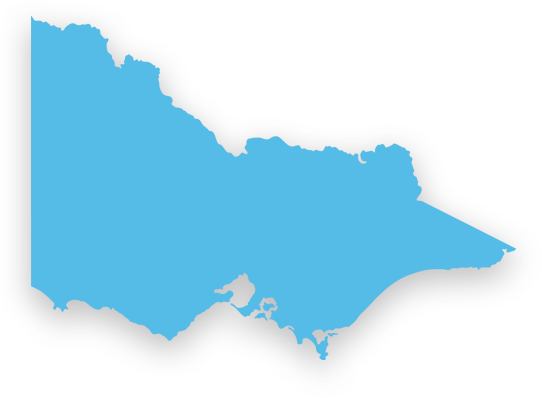 Searching for an experienced team to apply epoxy floor coating in Mornington ‘near me’? Call the Bakertec team on 03 9543 6888 or fill out the online enquiry form to have your questions answered by the experts.